Madhuri Dixit seems to love Anju Modi's creations as the stunning star opts for them fairly often for her public appearances. 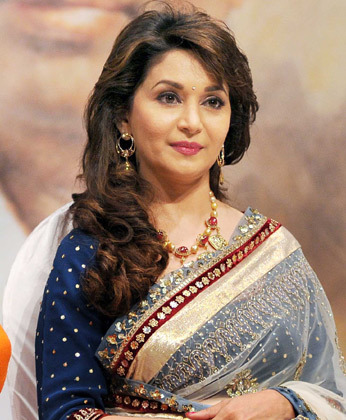 Dazzling in an Anju Modi saree, Madhuri Dixit accepted the prestigious Master Dinanath Mangeshkar Award this year. She was nominated for her contribution to the field of cinema. April 24 marks the death anniversary of late singer-actor and music director Dinanath Mangeshkar.